3-4 hours/day of tuning – listening, comparing, understanding Indonesian tuning systems, filing, and grinding. 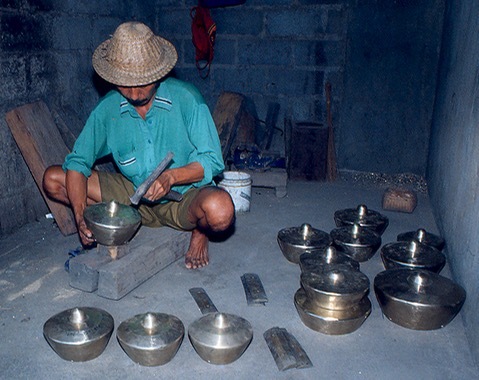 We will work on various sized bronze keys and small pencon instruments such as reong and trompong, seeking to unify the tuning of an entire gamelan. We will not tune larger pencon (e.g. gong or kempur), but will discuss the process.